Sydney Shop Girl: Eau de Illness. Today's programming is brought to you by the scent of various household wipes as they attempt to drown out eau de Illness at SSG Manor. Mostly these beauties from Costco. Though we did make it out of the house for breakfast this morning and took the more portable Heinz Baby Paws version with us. Not sure if that's their actual brand name but anyway. Only to return home to a graphic reminder that though toddlers do bounce back quickly from an illness, less than 24 hours is asking just a little too much. So there was more whipping around of the household surface wipes and some creativity in the fluid intake department. In hindsight, I should have known that these sugar and colouring free Hydralyte rehydration icypoles wouldn't be Toddler SSG's cup of tea. Part of the fun of icypoles is their garish colouring and taste bud paralysing super fake flavours. I tried defrosting the Hydralytes with their anaemic lemonade flavour but could only get a few sips into the Toddler. After which he asked for apple juice and drank a good cup's worth. As another day under house arrest stretched before us, I yielded to the siren call of another washi tape and household odds and ends project from the Nurture Store back catalogue. I don't know about you but I always feel like a better parent for putting it a bit of DIY into toddler activities. It's that brownie point that makes up for the less than perfect teeth brushing regime and the much less than perfect meal choices that have marked my toddler parenting of late. But I digress, today's activity is a variation on drawing where the idea is for toddlers to use their felt tips on relfective foil rather than plain paper. - washi tape (of course). - before prettying up the front side with a border of washi tape. Before presenting your toddler with his new 'framed' canvases. Which he will hopefully take to with gusto. It keeps things interesting for them, I think. To see how the colours look on a metallic surface and also to have that different sensation of drawing on such a smooth surface. I was surprised at the staying power of the felt tips on the foil, actually. I've been trying to look after myself in this season of constant illness. It's not hard to do when you discover that Kewpie (of the mayonnaise fame) make Japanese salad dressings!! They are as addictive as the mayonnaise. I'm using the Roasted Sesame one at the moment and it is as good as what I've tried at Japanese takeaways. 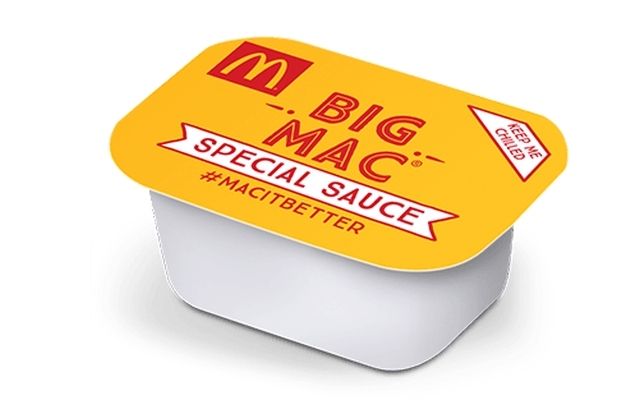 My Kewpie dressing find has almost made me abandon plans to visit Maccas tomorrow to get a few tubs of Big Mac Special Sauce for my next salad. Almost. Take care and stay well, all. I do apologise for the current glut of sick toddler posts but it seems to be my world right now. Going to try hard to make the next post illness free. Might have to make it about holiday plans. Or shopping. We shall see. It is a shame, as when they are sick, that's your whole world and concern! Don't feel bad for blogging about it, that's what it's like! Baby T (and then one by one the rest of the extended family....) was knocked down with some kinda bug - there's something going around here, maybe in Sydney too? Lots of fluids for everyone concerned. Although baby T is too small for the hydralite at the moment. Hope that toddler SSG improves massively over the weekend for you! I just hope everybody gets better soon.